This is what it looks like to drive through Virginia. The beauty of this state in and of itself is something to behold, but for me, in my life of constant transit, it’s so much more than that. 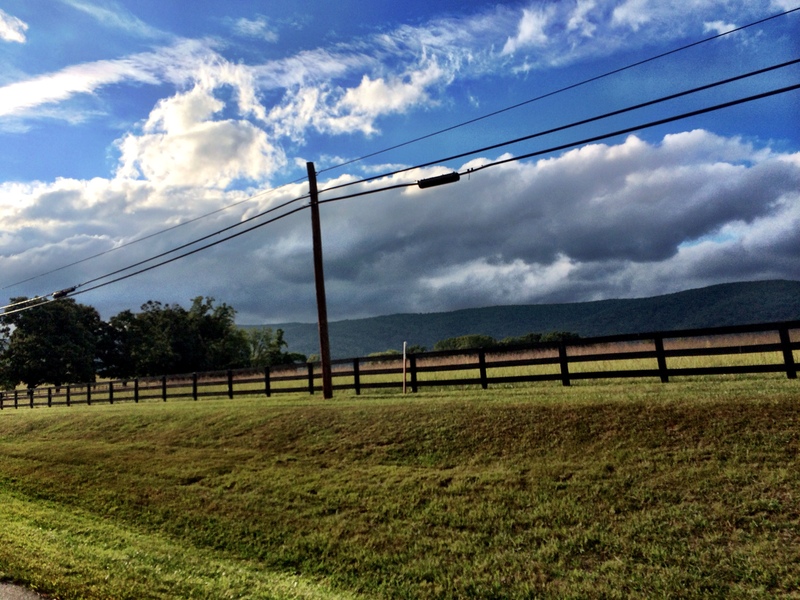 When I drive through Virginia, whether I’m en-route to Charlotte, or heading back into Charlottesville, there is a distinct serenity that I get from the scenery — and probably also the fact that it’s the only time I get completely to myself, without having to be in any particular place, or being chained to a computer. With that being said, while I revel in the space and time to myself whether I’m coming or going, there is the distinct feeling of letting go of whatever might be weighing me down when I drive into the Charlottesville city limits. This place is my everything place. Last Friday as I drove in after spending the week in Charlotte there was more than just a sense of calm — there was an immense amount of anticipation since this weekend was packed full of goodness. 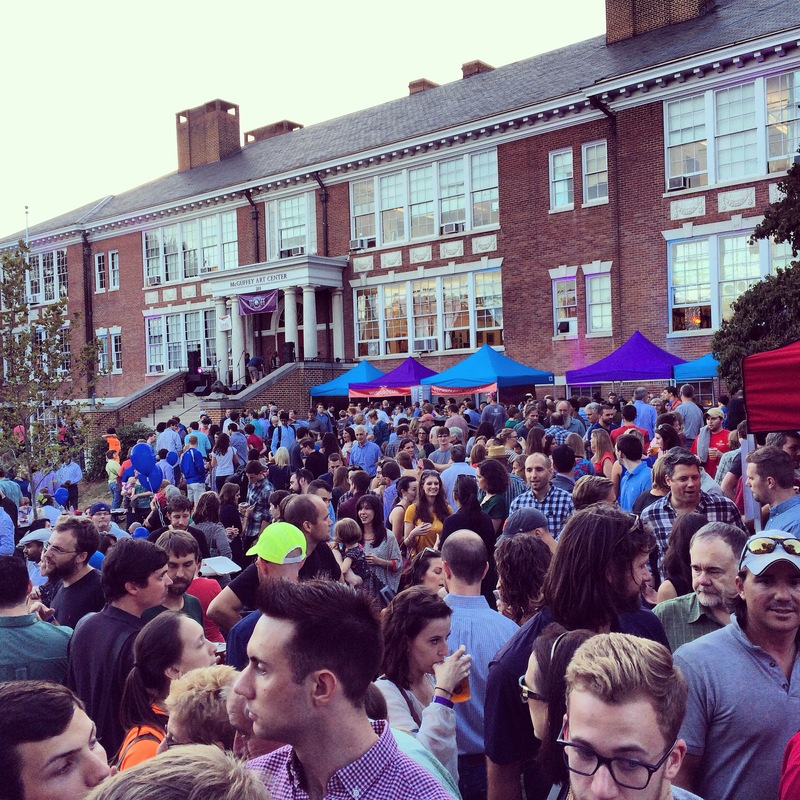 Just a few short hours after rolling into Cville, it was time for the Tom Tom Founders Fest (fall edition) Block Party at the McGuffy Art center; an event that we ( MADabolic Cville ) were sponsors for. So, as you can imagine, the troops were out dressed in some MAD gear, chatting up friends and strangers, giving away our beer tickets liberally. And it was awesome. From what I gather there were over 6,000 people there, which is a tremendous amount of people to have anywhere in Charlottesville at any given time (well anytime that isn’t Friday’s After 5). Saturday kicked off with some of my favorite people at MADabolic Cville on what turned into one of the last lingering days of summer weather in the beginning of fall. And let’s be honest – this was all made possible by the caffeine I imbibed first thing in the morning to start the engines. 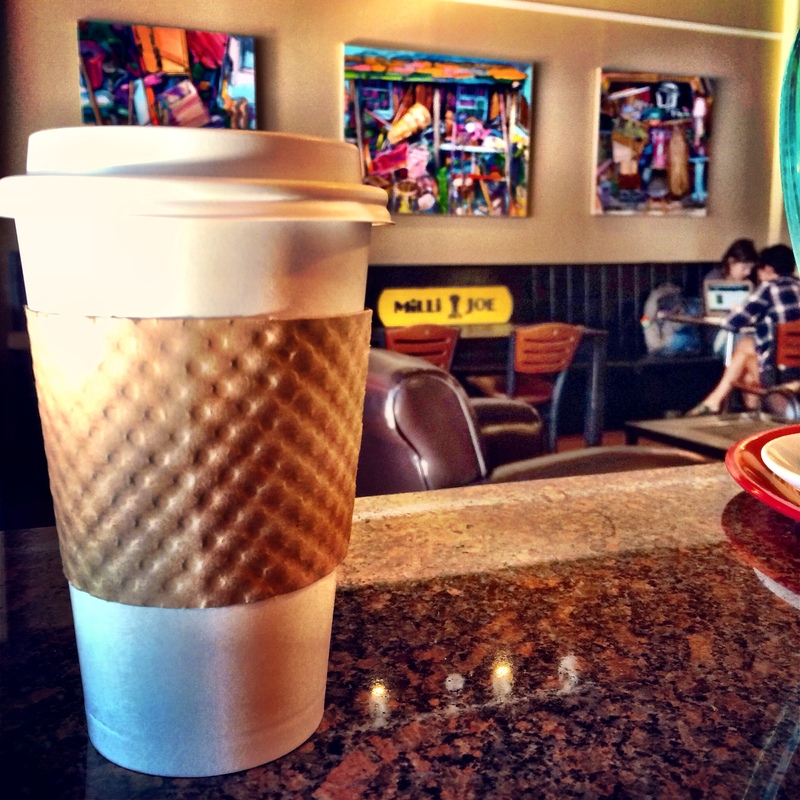 I can’t tell you HOW much I miss my (house made) almond milk lattes from Milli Joe when I’m out of town. 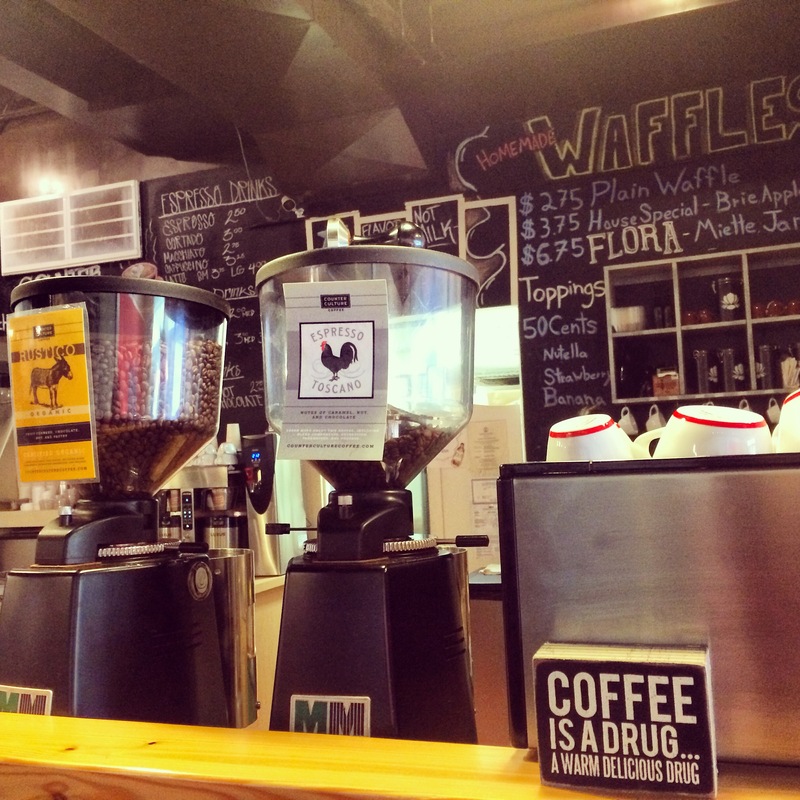 After class while we were waiting on a call with our western business partners, Dar and I hit up Brazo’s Tacos pop-up shop that is running out of our building for 60 days in the Al Dente space from 7am – 2pm. And let me tell you — it’s GOOD. Great local ingredients, and a build your own basic template so you can eat as clean as you want (we went with eggs, bacon, avocado and eggs, steak, avocado, and they were killer). 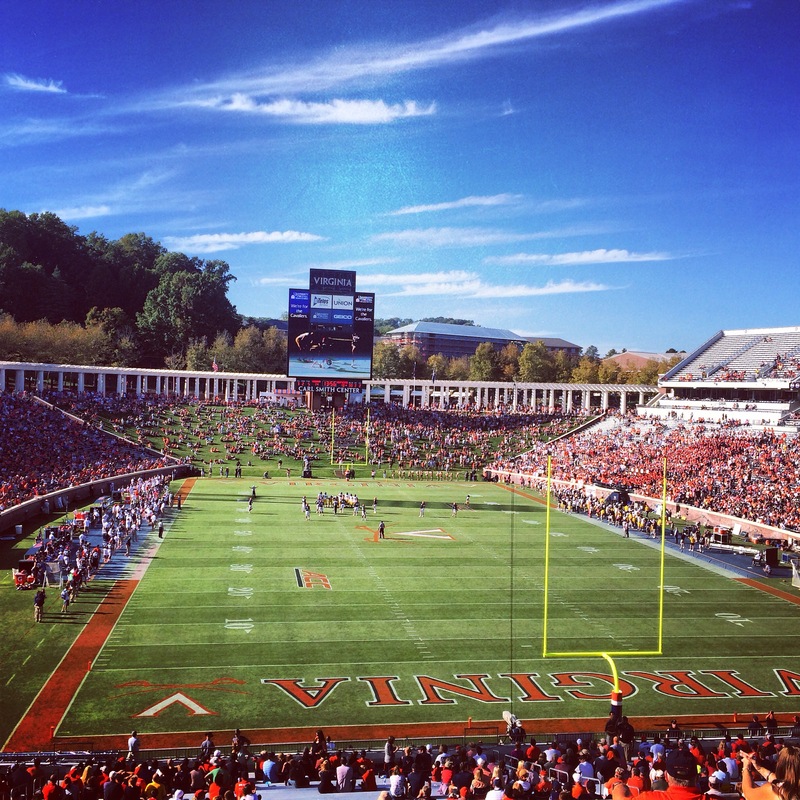 There was just enough time post-lunch to get cleaned up and head over to Scott Stadium for a little UVa v. Kent State action….and a big fat W.
Post-game Saturday was mostly an exercise in unwinding and getting back on track with life. Some strategic planning, but mostly couching and cooking good food, which is what has been missing from my life lately. 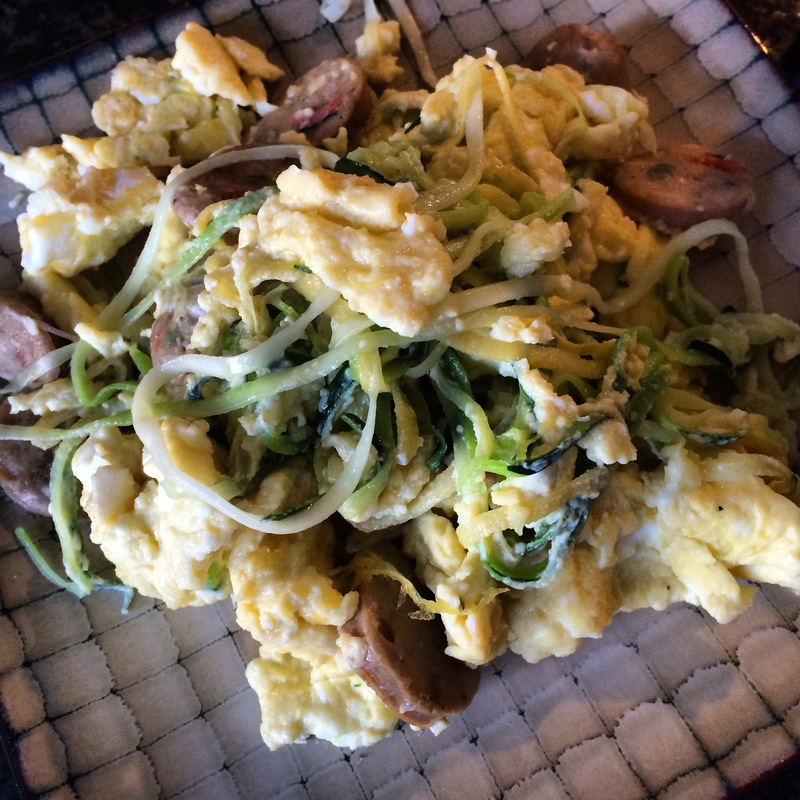 Sunday brought some more culinary goodness for breakfast (scrambled eggs with ZOODLES!) and a long walk downtown to shake out some of the soreness and overall tension that my body has been carrying. 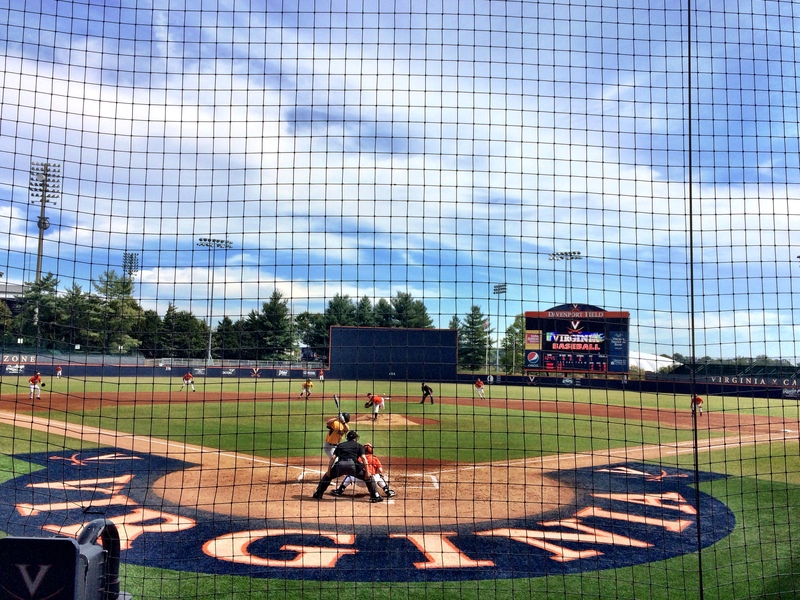 Following some time up at MAD, some of our kickball crew hit up the UVa Baseball game v. Towson, to cap off a full weekend of Virginia Sports lovin’. This week is a de-loading and re-loading week from end to end, from it being #MADcardioweek, all the way to my own sweat schedule that is touting more yoga/stretch than I’ve given to my body in a long time. It’s also time for some major fall organization, and strategy implementation for ALL my jobs, setting a solid new schedule for some work/life balance. Pretty exciting stuff if you’re a dork like me. While I’m not getting the time and serenity of a several hour drive through the Virginia country side this week, I’m just happy to find some security and balance in the chaos of home. There’s something to that, and I can’t imagine life any other way. I’m definitely a fan of three-day-weekends, but there’s something a little painful about it when the short week comes on the front end of the holiday. Adding an extra weekend day never achieves that extra rest and work catch up that would probably be the responsible time spend. Instead, adding an extra 30% to the weekend immediately results in a 50% increase of overall wine consumption, sun exposure, and as a combined result, sunglass wearing to compensate for the consequences of both. That being said, Monday morning brought a pretty harsh snap back to non-holiday reality, so, naturally, I coped the only way I knew how: with an almond milk latte from Milli Joe. 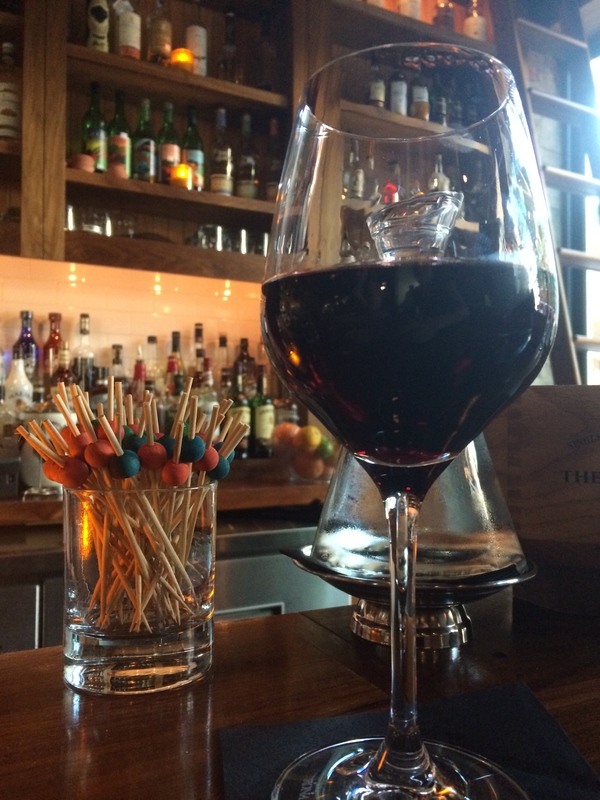 And since Monday’s are tough (and this one didn’t disappoint), I decided to keep the celebration going after work with wine and a catch up friend date at Commonwealth. I mean, it’s America kids, lets not limit our freedom celebrations to one day in July – celebrate every day and wine when you damn well please. 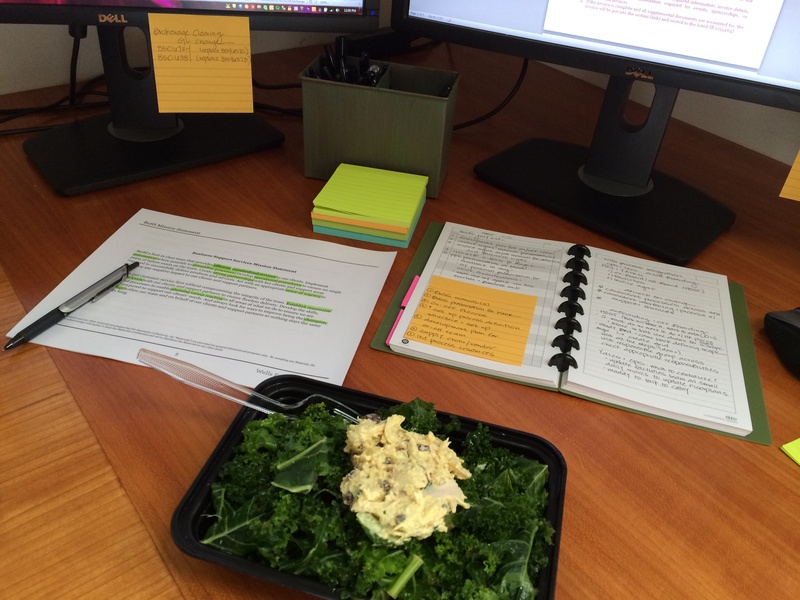 Today was another packed day, so work-life balance quickly translated into a work-lunch balance experiment of trying to eat, type, and strategically mute myself through conference calls to fit in chewing (Kale is NOT a quiet food). I had actually gotten myself up for the early am classes at MAD this morning to hopefully clear out my schedule for the rest of the day and enable myself to stay in my house with no interruptions, but of course I found myself rolling up to the 5:30 class to check in and take some much needed photos of our clients doing what they do – being awesome. Dinner was a plethora of leftovers; kale marinated in lemon juice and olive oil, grilled flank steak, cucumber, and avocado. I’m apparently on a kale binge, which was not intentional, but mostly just a product of some pretty aggressive fridge stocking last week. 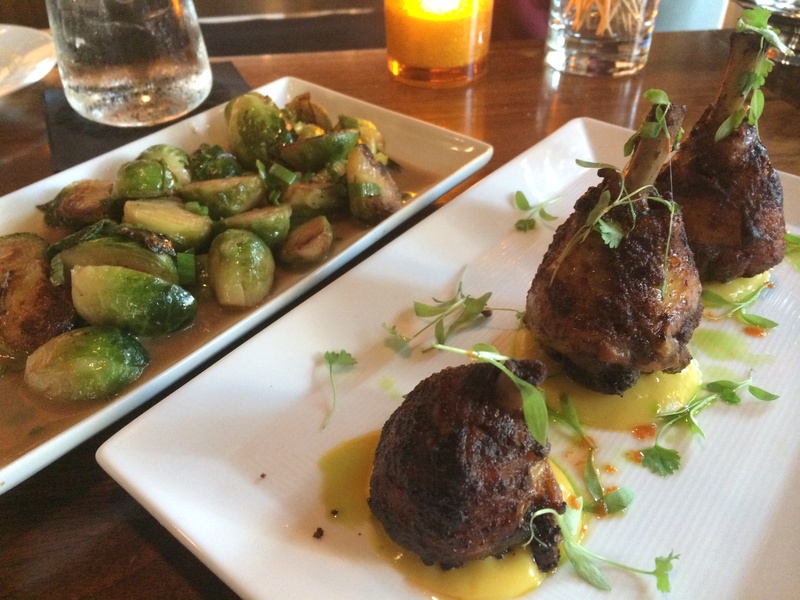 Thankfully there’s not much I love better than some really great leftovers, so I’m all for it. Here’s to hoping that the rest of the week shakes up a little to find some pockets of calm, but I wouldn’t know what to do with it anyway, so I might as well just hope for large periods of productivity coupled with some good food, great company, and MAD sweats. I’m back to Charlotte next Tuesday so I’m trying to pack in as much time in MADville as I possibly can, and I couldn’t have picked a better line up of intervals than this week.